^ "The Star-Spangled Banner" serves as the national anthem for the United States of America, and its territories. 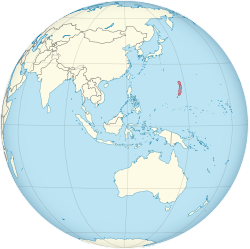 ^ 國家或區域： 北馬利安納群島邦 國家(英文)： Commonwealth of the Northern Mariana Islands(CNMI) （簡稱北馬群島）. 中華民國外交部領事事務局. [2016-04-13]. 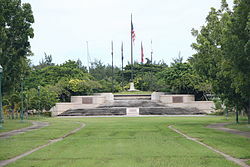 ^ Battle Of Saipan. Historynet.com. [2015-08-29].